Last time I took a look at IntelliJ IDEA IDE and wrote what we love and hated about it, In the fourth part of this series of articles about integrated development environments (IDE) we take a look at the NetBeans IDE. NetBeans IDE is a open-source integrated development environment originally developed by Sun Microsystems (now Orcale), which has a large amount of support from a large community and from Orcale and support for development of all Java type of applications such as Java SE, JavaFX, Java ME, web apps, EJB and mobile applications). Additionally NetBeans IDE features an Ant-based project system, Maven support, refactorings, and version control (which has support for CVS, Subversion, Mercurial and Clearcase). 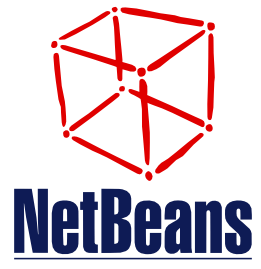 Netbeans is modular, since all the functions of the Netbeans IDE are provided by modules such as support for the Java language, editing, or support for the CVS versioning system, and SVN. NetBeans to be distributed in a variety of packages tailored tailored to specific development needs, which include ‘NetBeans IDE Bundle for Web and Java EE’ (Java EE 6 Web Profile, Enterprise Java Beans, servlets, Java Persistence API, web services, annotations and includes GlassFish and Apache Tomcat), ‘NetBeans IDE Bundle for Java ME’ (for developing applications that run on mobile devices), ‘NetBeans IDE Bundle for PHP’ and the ‘complete bundle’ which includes all the bundles. NetBeans is really handy because it has pretty much everything you could ever need built in from the start such as Glassfish/Profiler. It’s always the first to get support (and code completion) for upcoming technologies, for example JavaFX and FXML. It’s HTML5 support is really good. Can Easily switch between file or project basis. Has a Start page with regular updates and tutorials. NetBeans got some neat futures such as System out having an auto complete function. Minor Annoyances such as If you like to keep up with the cutting edge with new betas and release candidates, each new version installs to a new directory, sometimes leaving multiple older versions on NetBeans installed if you’re not proactive in uninstalling them. Depending on whats being done it can be a bit of a memory hog, and it doesn’t handle very large files well. NetBeans build.xml can get in the way if you are using Ant. Sometimes its not easy to copy a run configuration. Sometimes NetBeans doesnt save a previous configuration. Next time I will be concluding the series of What we love and hate about Java IDE’s. I would say that NetBeans handles large files extremely well. Not only that, but it has refacoring tools that let me modify large sets of files simultaneously. I’m surprised that you didn’t mention the local history feature of netbeans. It commits every time you save a file to a local git repository and you can view all changes of the opened files by pressing the History button. This is the main feature I’m missing in IntelliJ. IDEA has the best history function of the lot IMHO because you get all the changes at a timepoint, so you can roll the code as a whole back to any point. This is what I miss in NetBeans personally. Normally I do not comment on such blog entries where the author does not seem to be a NetBeans user. I think ‘hate’ is just a bit too heavy if you list things like that. I think it is better to use things where you are fast with. And some people are faster with Eclipse or IntelliJ and some are with NetBeans. All are very powerful these days. > NetBeans build.xml can get in the way if you are using Ant. Why then not import it as an Ant project? > Sometimes its not easy to copy a run configuration. > NetBeans got some neat futures such as System out having an auto complete function. I do not understand that. Did you try the NetBeans History feature? We tried to be very careful with our title as one persons killer feature in an IDE in another person’s serious bug and everyone has a different shopping list (I use Ant so attach no value to Maven support). I made most of the NetBeans comments in the article (I am talking on NetBeans and GlassFish at JavaOne SF in BOF2764 if you are in town!). I use it for about 5-7 hours each day, I have written plugins for it, I was part of the testing for 7.3 and currently hammering 7.4 beta so I would claim to be a user. The comment on build.xml was that I felt it would have been more useful in hindsight to call it something like netbeans.xml or hide it away in nbproject (and leave the root default value of build.xml for the user project). With the run configurations, I meant that you can copy and past any setup in the IDE in IDEA but there is no simple copy option in NetBeans. I use this a lot to create slightly different run configurations in the IDE. Choosing Customise and then New always picks up the defaultConfig settings. A copy option would be very useful. The history comment is that NetBeans has very good history features on individual files. But on IDEA I can select any directory or even the whole project and roll it back to any event point (I can choose what these are). I find this really useful for being able to set points I can easily return to. I cannot do this in NetBeans as far as I am aware. I would have to do this on a file-by-file basis. I know the options, but the fonts in the editor window are looking much better with java 6 as the default netbeans_jdkhome. 😉 IMHO! I don’t know, is it java 7 related or a netbeans behavior? I would add in the Love section the high quality maven support. Thanks for sharing such informative article on Java technology. It is most preferred technology among developers to create stunning mobile application fast and easy. It also created massive career opportunity for aspiring professionals. Your information related to java IDE’s is really useful for me. Thank you.